As I begin to work on my graphic memoir, I decided I wanted some more practice drawing myself from several points of view, walking. So I returned for a bit to what I have the most practice with: sketching an object "live." A wooden artist's mannequin helped me think about it in new ways. It keeps me working from a 3D model and it doesn't complain about having to hold a mid-step position the way a human would! Next, I set the mannequin on the floor and drew it from above, because that's a point of view I want to use in my comic. And that's something I never get to see! Last week at the Festival of Faith and Writing in Grand Rapids, Michigan, I sketchnoted the sessions I attended. By Day Three of the Festival, most of us are feeling tired and full of new information and ideas, but still ready to learn from the speakers. 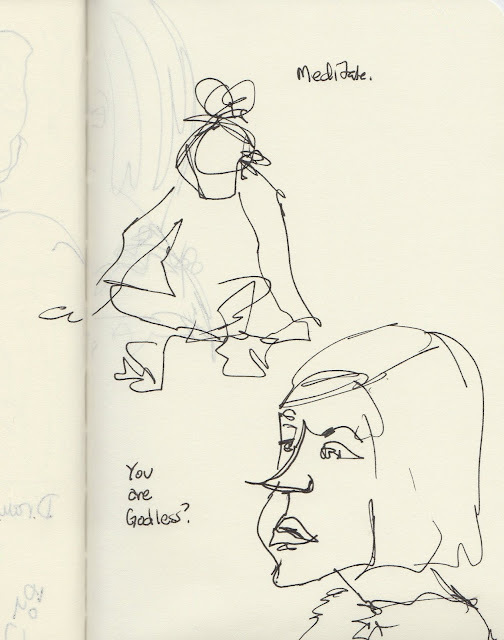 My plans included an illustrator, an improv artist, and another session with Dinty W. Moore. First, I attended a session with author and illustrator John Hendrix. Dang, I love his work. I had seen his sketchbook stuff before this, but I hadn't seen his books before. I appreciated his emphasis on how much he studied and practiced to learn to work with type as an integral part of his artwork. He talked about the process of creating his forthcoming middle grade graphic novel, The Faithful Spy. I appreciated his analysis of that medium, and how he meddled with it to bring forth his vision (some traditional sequential comics, some more illustration). For my second session of the day, I attended one led by MaryAnn McKibben Dana, an author, improv artist, and creativity coach. 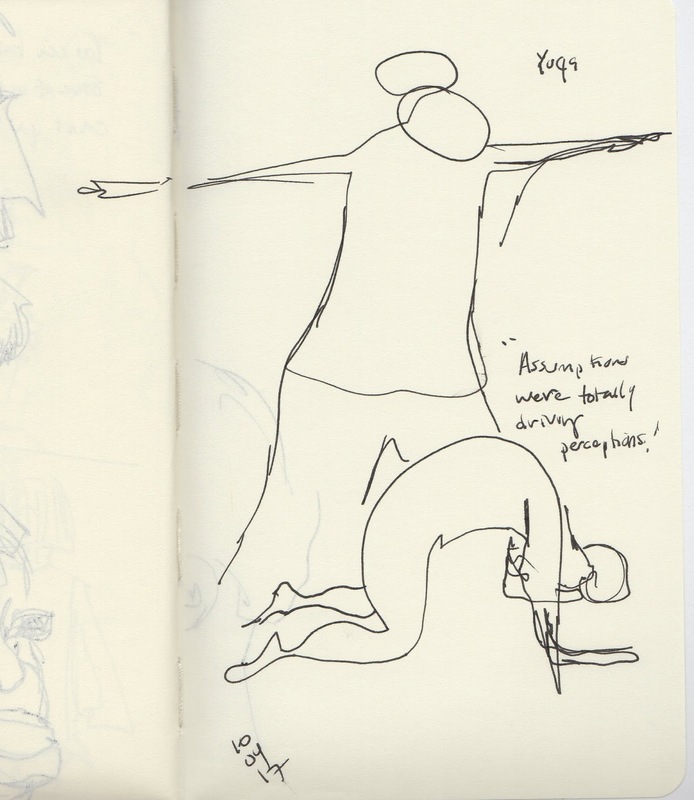 She works with improvisation as a spiritual practice, which is something I have believed in for decades. 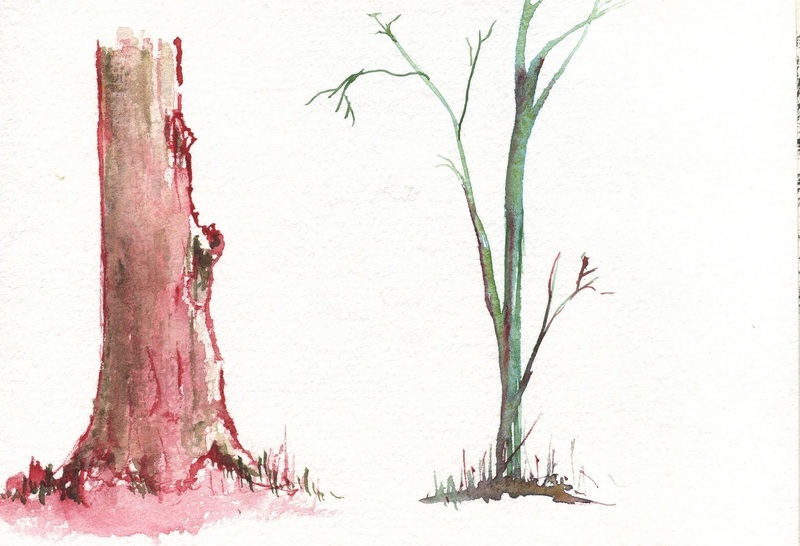 Improvisation is what guides most of my sketching and watercolor work. It has a lot to do with how I lead my college classes. Of course, I'm not as good at it as I wish I could be (especially about the "loving the limits" stuff), but sessions like this serve as great reminders! 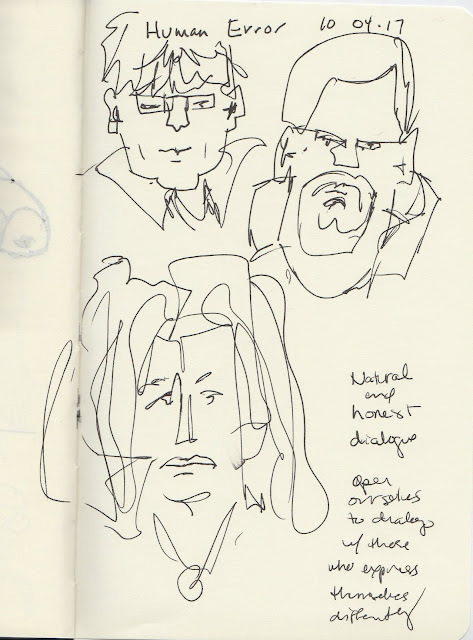 Finally, I attended a conversation session with Dinty W. Moore, whom I had heard speak the day before as well. He has such a warm and inviting presence. His discussion of the hermit crab essay forced me to have to draw one (and thank heavens I actually have a little plastic hermit crab at home which I have sketched and so I had a tiny tiny inkling of how to do it!). On Day Two of the Festival, I got to listen to such wonderful speakers! First, Dinty W. Moore spoke about mindfulness and writing. I looked forward to hearing him speak because I love his book about writing personal essays, Crafting the Personal Essay, and use it in my own writing and to teach essay writing to college students. I look forward to reading The Mindful Writer soon! 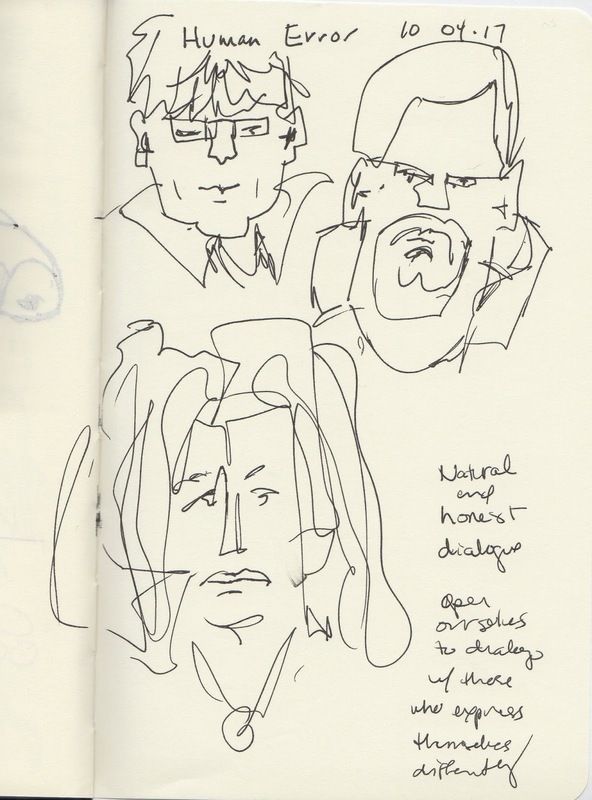 Later that day I got to listen to a conversation between two poets, Pádraig Ó Tuama and Marie Howe. I'd heard Pádraig speak on poetry and reconciliation earlier in the week at Hope College, and looked forward to listening to these two talk about poetry and the body politic from their shared artistic perspectives. 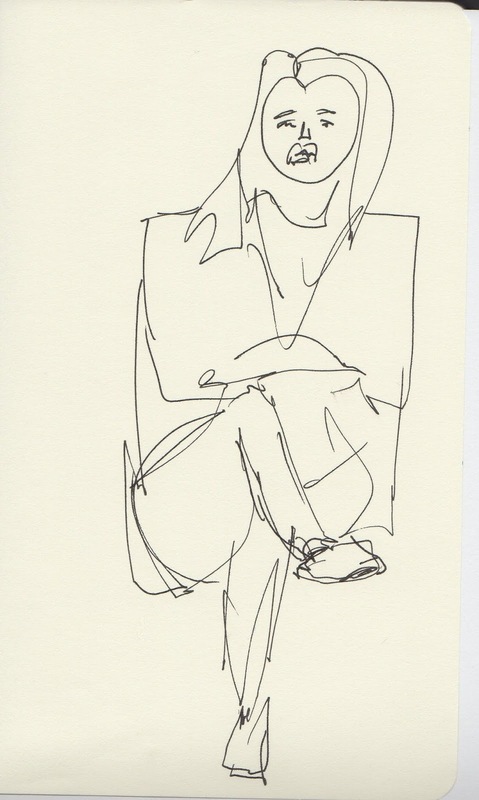 What struck me most from this talk was Marie Howe's idea that while we, as writers, know we should strive to avoid cliche's of language, we must also avoid cliche's of thought and being. I can't wait to talk about that idea with others! 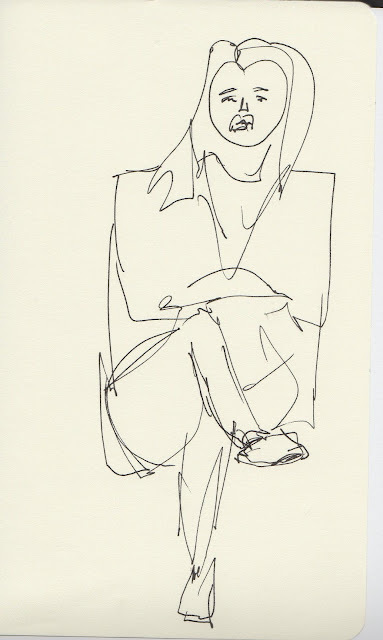 Finally on that afternoon, I attended an overflowing session with Lea Thau of Story Central. She is a producer and director of award-winning podcasts and live storytelling, and she is a terrific workshop leader. We only had an hour together and she packed it with goodies. I would love to do a multi-day workshop with her some time. Last week, April12 - April 14, 2018, I attended the Festival of Faith and Writing at Calvin College in Grand Rapids, Michigan. 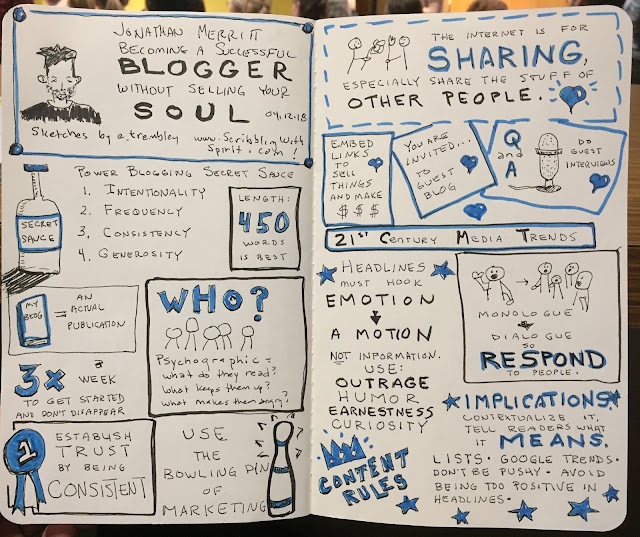 While there, I sketchnoted some of the events. 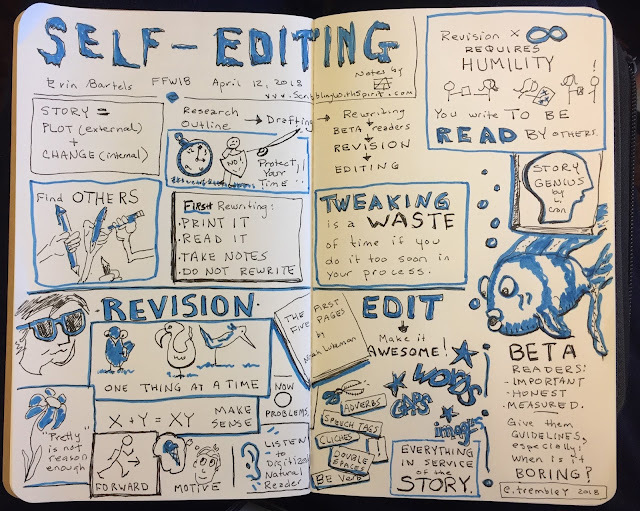 Lots of good stuff there, especially on the notion that editing is the very last part of a long process of writing. It was nice to hear someone else-- a professional in the publishing business-- say what I always tell my students (but who like to edit as they draft because they think it is faster). 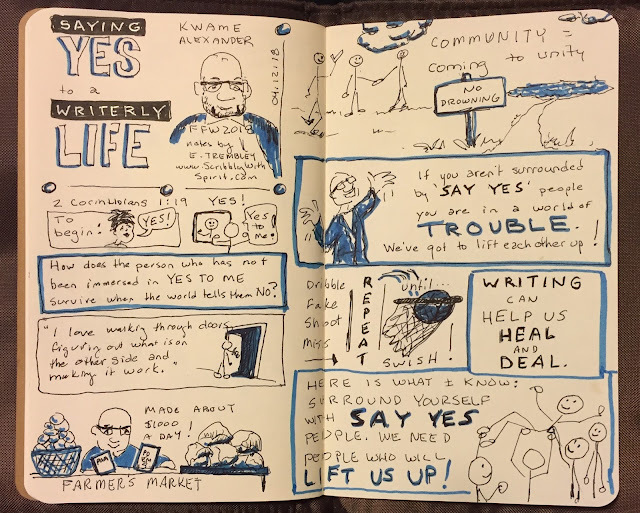 Second, I took notes on the keynote by Kwame Alexander. Wow, he was a terrific speaker. His talk, "Saying Yes to a Writerly Life" talked, among other things, about selling books at Farmer's Markets early in his career. And how he made more money selling them there than elsewhere! I spent some time roaming the exhibit halls, chatting with publishers. 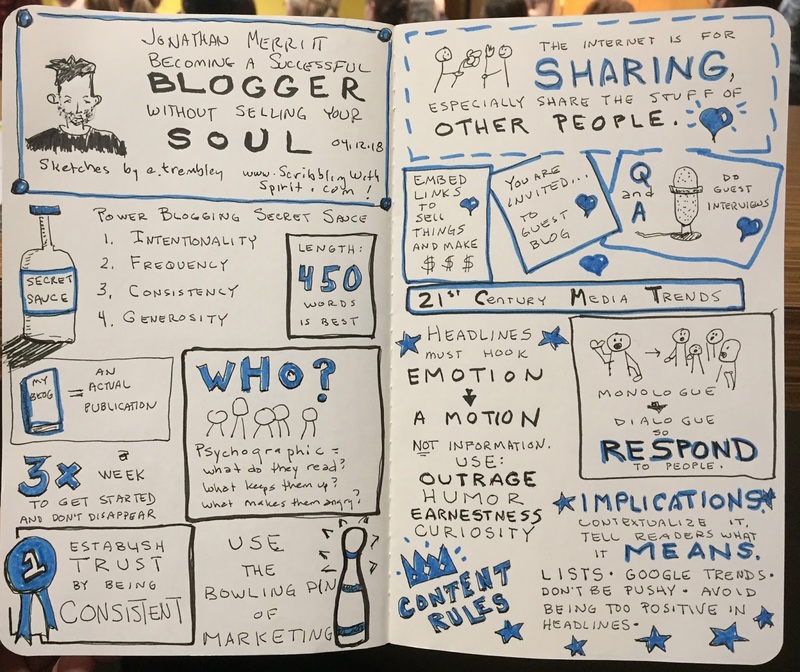 Then I attended my third session of the day: "Becoming a Successful Blogger without Selling Your Soul" with Jonathan Merritt. He had a lot of practical tips and spoke at an energized pace. It felt perfect for the end of a long and exciting day. In this middle of his presentation, my pen (my brand new pen) ran out. Of course. But I had two back-ups. Never go sketchnoting without backup pens. 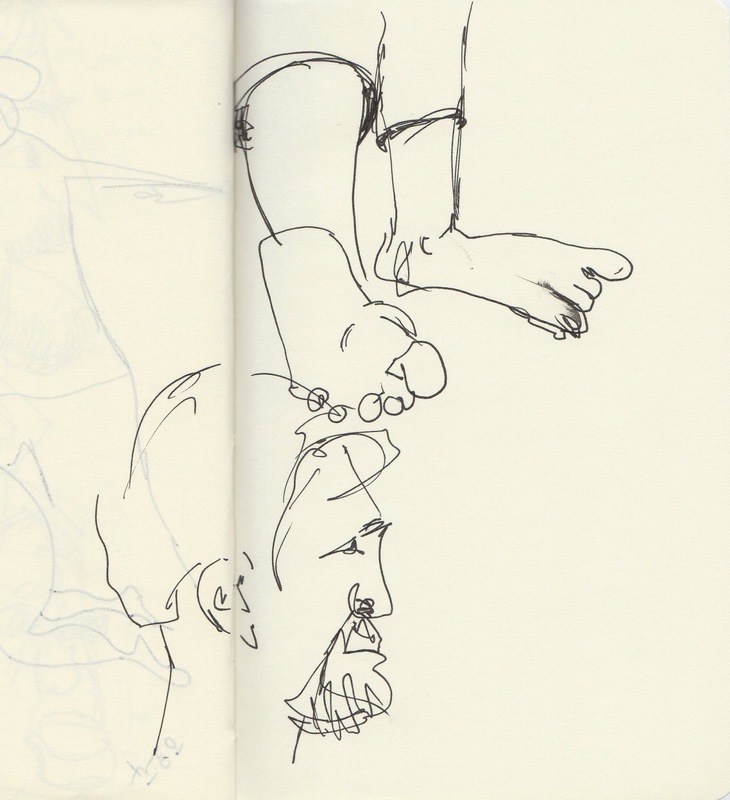 Check out my next posts for more sketchnotes from the Festival. So, I'm working on a graphic memoir. And one of the first things I needed to think about (and which I am still working out!) is how I'm going to depict myself. I need to really think about it, so I depict myself consistently. Like, how many hair spikes? 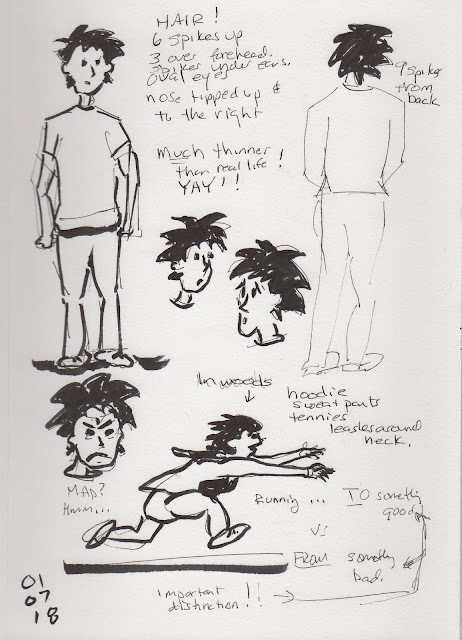 And since this memoir involves a significant amount of running (well, at least, one part of it does), i decided I should practice drawing that. Myself doing it, that is. 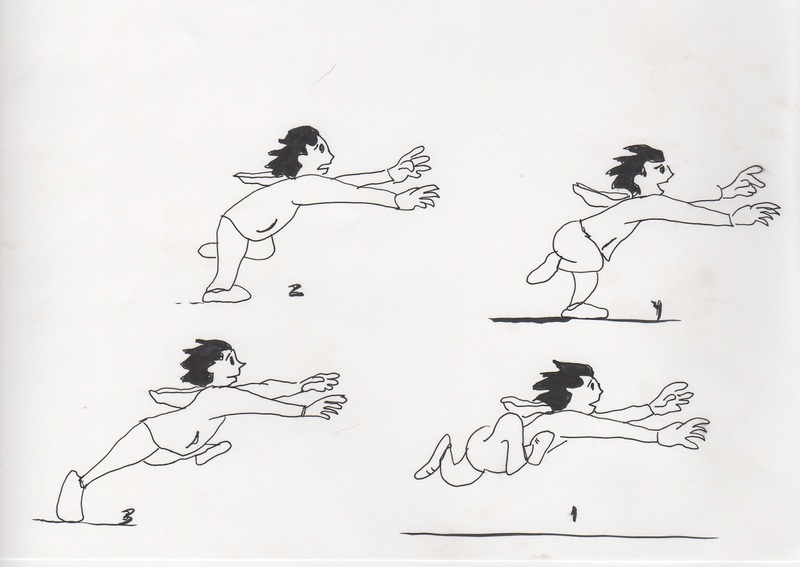 Below is just one page of my many practice sheets. Trying to get the images into my hand's memory. I am copying these running poses from a wonderful book by Preston Blair, which you can learn more about here. 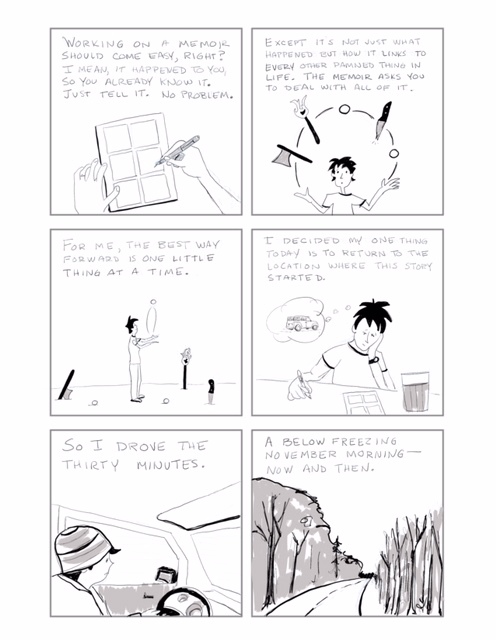 Last fall I began focused work on a book-length graphic memoir. 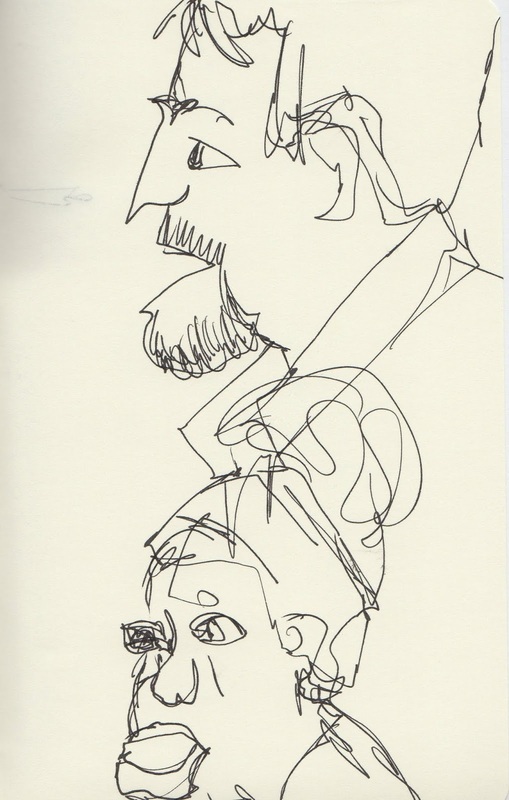 As a result, I have done almost no live sketching in the last few months. 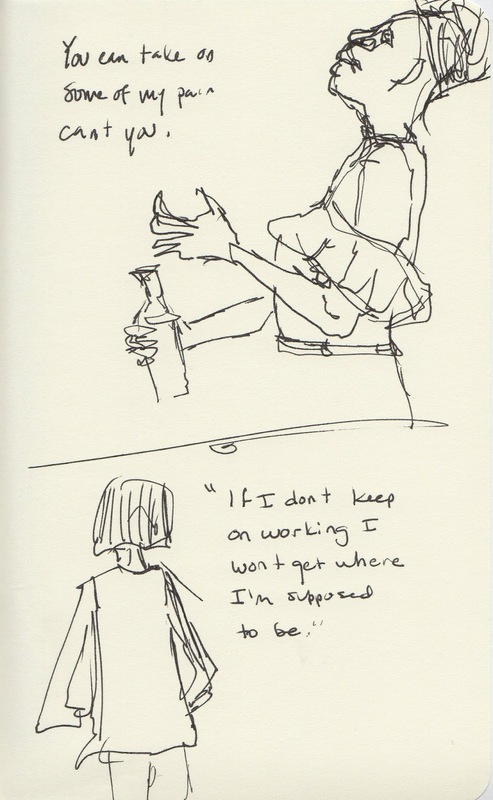 Instead, I am learning to think and draft and create and convey meaning in comics. Anyhow, here's a short page, almost a diary entry really, from last November, as I considered the start of the process. Last fall, Hope College (a local liberal arts institution) presented the play Human Error, which was really very good. If you ever have a chance to go see it, I recommend it. It's about empathy and coming to a better understanding of people across all kinds of differences. Valuable message for our current times. 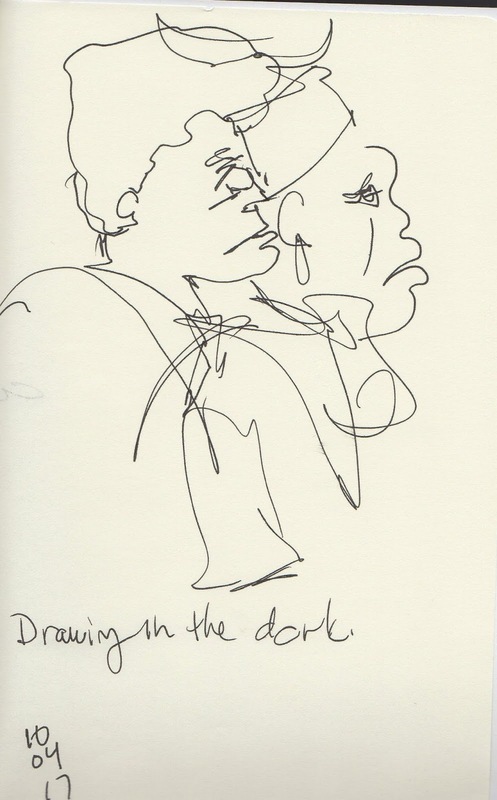 In a way it was a perfect play to sketch live, and in the dark, because it only had four main characters. 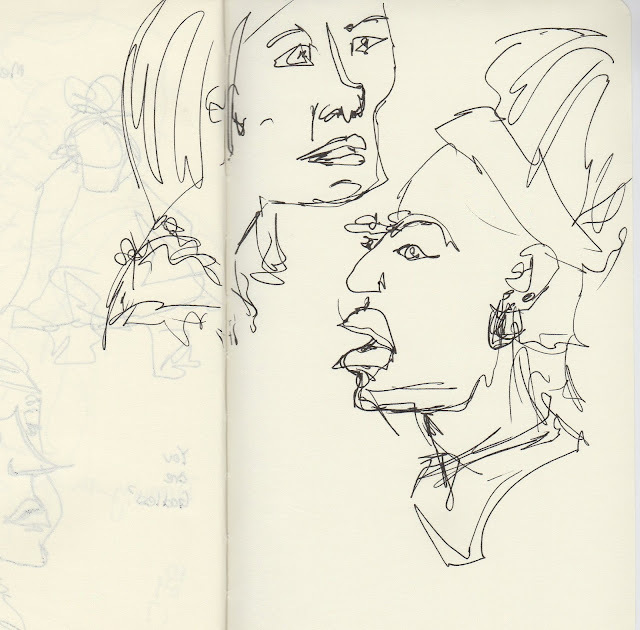 So I could draw the same people over and over, and try to get an improved sense of them as I went. I have the tremendous good fortune of living in the woods. And I really like to draw trees. 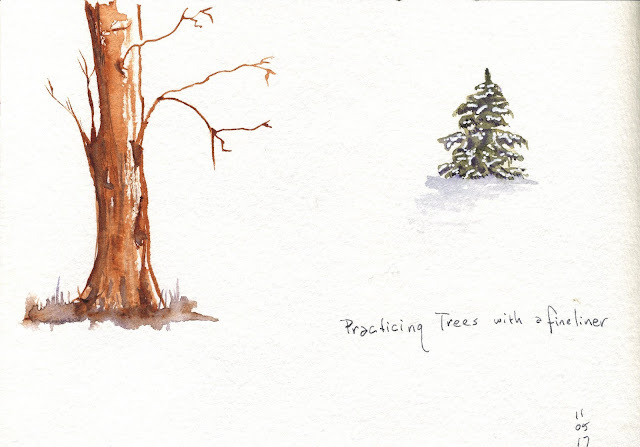 Here a few pages from the beginning of last fall, as we entered winter. As I look around now at these same trees, they are just getting ready to bud.